Glance out the window in Singapore and it’s likely something will be waving back at you. It might be smooth or scaly, bigger than a bus or small enough to push over. We live in a literal urban jungle, with trees peeping from around buildings, lining the sidewalk, or dominating plazas and courtyards. 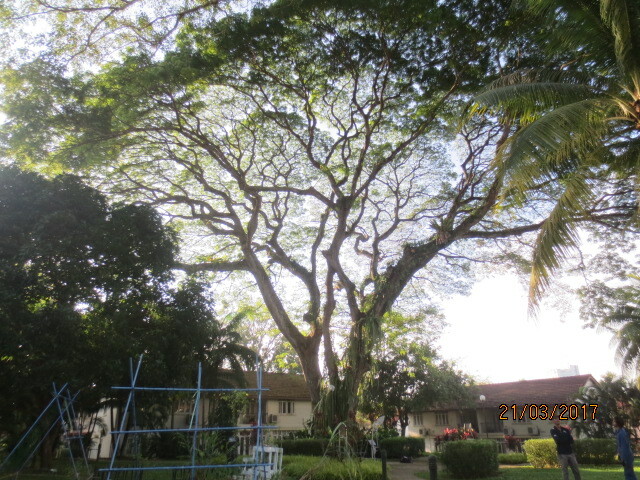 How do Singaporeans co-exist with our big mature trees? Part of the answer is that our estate managers and urban planners work hard every day with architects, landscapers and arborists; trying to balance developmental needs with liveability and public safety. Trees are an arborist’s speciality. We combine scientific knowledge with skill and experience to diagnose potential problems, and prescribe treatments for holistic management of trees. Long-term preservation of trees begins before contracts are signed: draft clear directions on proper tree care. Consult an arborist on potential tree-related loopholes in contracts. Engage your arborist to prune young trees and develop strong form. Young trees pruned into biologically efficient forms minimize the potential for future structural problems and liability for tree owners. Optimal pruning techniques? Tree work safety? Work teams often get a productivity boost through specialist training. Long, useful, and safe life expectancies for urban trees require proper planning and sustained effort. Other areas where an arborist can help include biology-first design, stock selection, installation and establishment methods, mature tree tune-ups, and risk management.